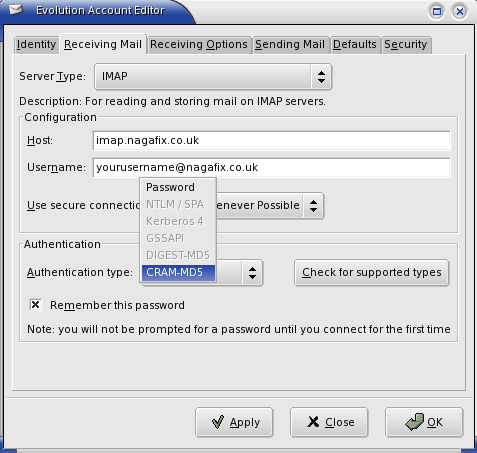 Here we configure Novell Evolution to use IMAP with Cram-MD5 authentication, we set the secure socket option to "whenever possible". It could be made more secure by choosing the option "always use secure connection", if the mail server you connect to supports it. ours do!